The Chicago Women in Architecture Foundation is proud to announce Cynthia Weese, FAIA, as the first recipient of the CWA Lifetime Achievement Award. The new award honors distinguished women who have positively contributed to our organization and supported the issues faced by women architects during the 40+ years of CWA’s existence. Their contribution has been found to affect the lives and careers of others in the architecture community and inspired new generations of women to become actively involved in our organization and the field of architecture. 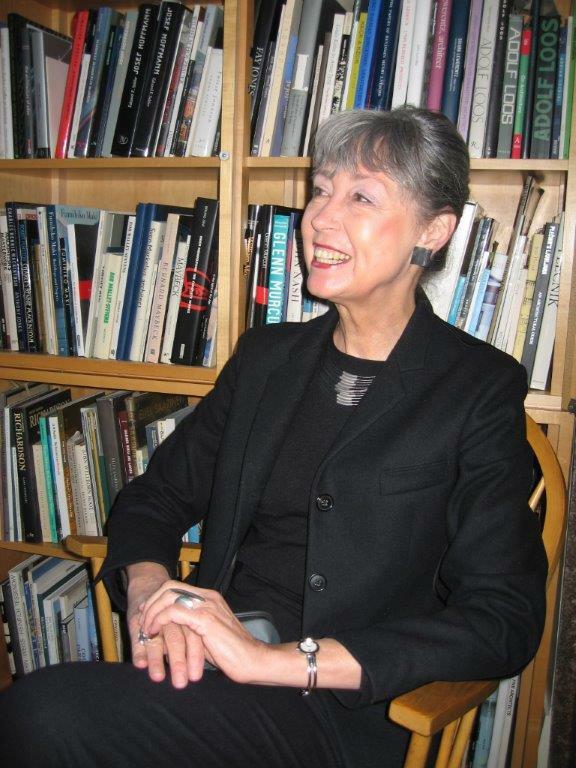 Cynthia Weese FAIA is a founding principal of Weese Langley Weese. She received her undergraduate and graduate degrees from Washington University in St. Louis where she has been awarded the Dean Emerita status. Upon graduation she established a private practice and also worked at Joe Karr and Associates, Landscape Architects and Harry Weese and Associates. In 1977 she joined her husband Ben in founding Weese Langley Weese. Her work has received many awards and been widely published and exhibited. She has lectured nationally and internationally and been on numerous competition and awards juries. From 1993-2005 she returned to Washington University as professor and dean of the School of Architecture; she was the first woman to be dean of a school at that institution. During her tenure she initiated many international programs, introduced computer initiatives and enhanced both the technology and design curricula. She was also active in the process of planning and realizing two new buildings which, with three renovated existing buildings, create an arts campus. Cynthia has been active in the AIA, serving as President of AIA Chicago and vice president of the national AIA Board. She was a founding member of Chicago Women in Architecture and the Chicago Architectural Club and served as president of the latter. She served on editorial advisory board of the Harvard Design Magazine and the visiting committee for the MIT School of Architecture and Planning. She currently serves is a member of the National Council of the Sam Fox School of Design at Washington University and is serving for a second time on the Board of the Society of Architectural Historians.